II. 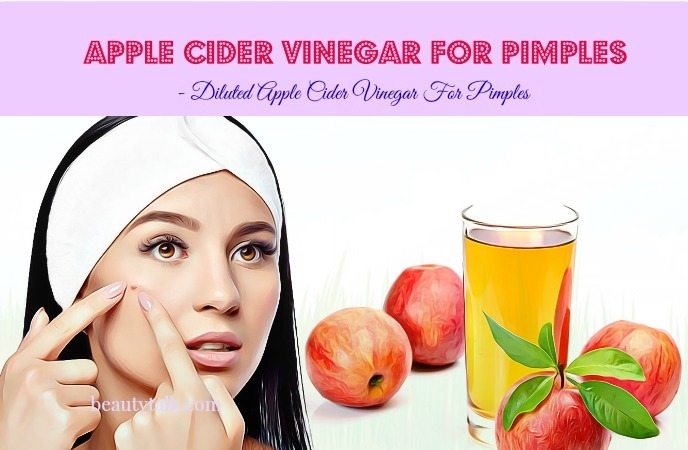 Why Does ACV Work For Pimples? Sooner or later, a person gets acne, and pimples are a branch of these things. Pimples, also known as zits, are small, inflamed spots on the skin. They are not only the affliction of teenagers, adolescents, and premature but also adults. Some people barely have a pimple or two at a time, but many others are not that lucky, they frequently get lots of pus-filled pimples, which can be very hurtful. 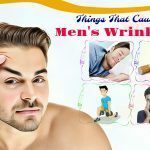 Surely no one wants bumps to cover all over his/her face or any part of the body, as they may cause inconvenience and sometimes embarrassment. 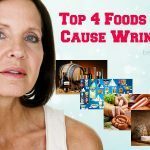 Fortunately, no lack of solutions to this problem, using apple cider vinegar (ACV) is one effective way. 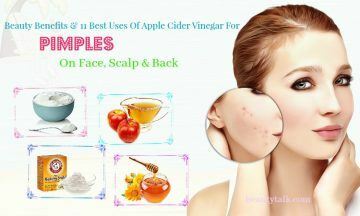 Keep reading this article on Beauty Talk to find out how ACV works with pimples and refer to the list of 11 best ways to use apple cider vinegar for pimples on face, lips, scalp, and back. The main agent causing pimples is oil. An adequate amount of oil will keep your skin from becoming too dry. 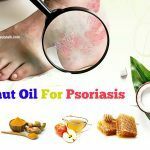 But when your skin starts producing too much oil, which mostly occurs in the puberty, the excess oil as well as dead skin cells will block your pores. This condition allows bacteria to grow and then leads to inflammation. As a result, pimples come. Oil glands are most concentrated on the face and scalp; therefore, these areas are more likely to have pimples than elsewhere. Blackheads and whiteheads: They are both small pimples that you can easily get rid of. A blackhead is an open comedo that forms on the skin surface. On the other side, a whitehead is a closed comedo that exists under the epidermis. A comedo is a blocked pore in the skin. If it opens, the melanin oxidation process begins and makes dead skin cells turn black, setting up a blackhead. If it closes, the bump will be locked inside and still maintain white. That is a whitehead. Papules and pustules: Inflammatory pores create bigger pimples called papules and pustules. They are both hard when touching, but papules do not contain pus, and they are often pink, while pustules are full of pus and yellowish. These types of pimples are a little bit more difficult to cure. Nodules and cysts: These two types are at the most serious stage of pimples. Their size is largest and brings sufferers a huge pain. They usually leave scars, thus requiring further therapy to eliminate. Nodules are similar to papules, and cysts are similar to pustules. AVC is popular for its antibacterial and anti-inflammatory abilities. According to research, ACV is successful in killing certain bacteria with the rate up to 90 percent. 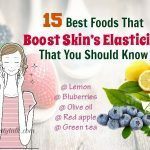 It also involves some organic acids such as lactic acid, acetic acid, succinic acid, and citric acid that can hinder the development of Propionibacterium acnes (P. acnes) – a strain of bacteria causing acne and pimples . Moreover, ACV is capable of fading scars away . 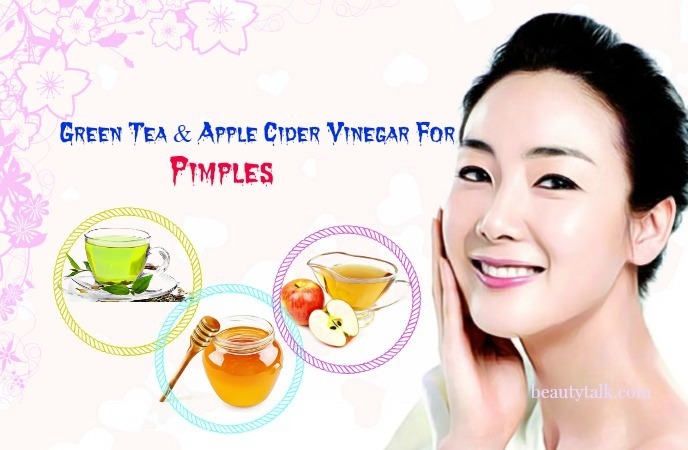 Some types of pimples as mentioned probably leave scars or uneven patches of color on your skin after healing, and ACV is born to deal with this problem thanks to its chemical compounds, especially succinic acid . This acid is not only responsible for peeling old skin cells and promoting regeneration to remove scars but also avoiding P. acne inflammation to prevent those unattractive marks. 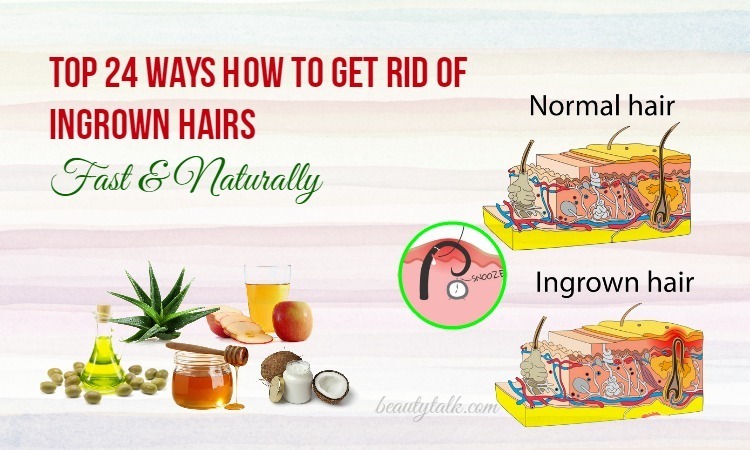 Because of all benefits above, you cannot ignore remedies using ACV if you want to get rid of acne in general and pimples in particular. Control the normal level of blood glucose by enhancing the insulin sensitivity. 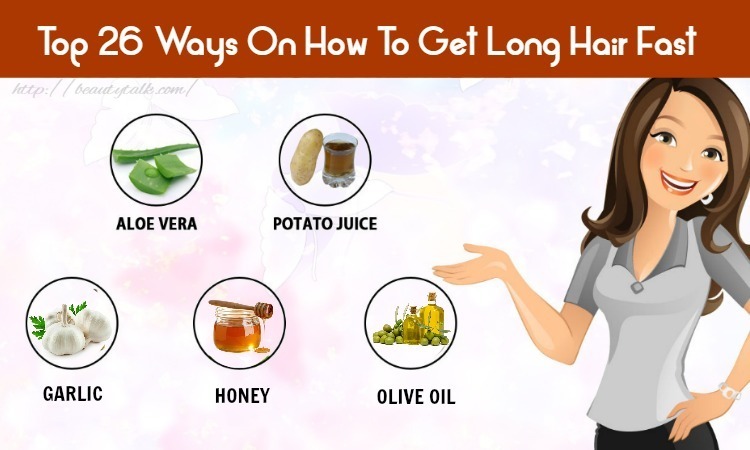 Good for losing weight by making you feel full longer. Keep heart diseases away by balancing cholesterol level and decreasing blood pressure. Reduce acid reflux symptoms by supplying more acid to the gastrointestinal tract. Prompt: Please consider to convert the exact numbers in every recipe to proportions for uses in different parts of the body. It will take more quantities of the ingredients to apply to the back than other zones, for instance. Mix ACV with water in the suitable quantity for your skin type. Use a sprayer to spray or a cotton ball to dab the solution on the affected areas after cleansing as usual. Let the solution to dry, and then rinse off with cool water. You can choose to apply the solution on each pimple and leave overnight for faster response. Note: The preparation for oily skin can also be used for scalp pimples. 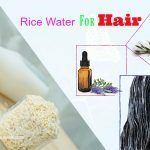 You need to rinse your hair with the mixture after washing as normal and then leave your hair to dry naturally. Repeat this method once weekly for about one month to achieve the best result. All parts of the body are appropriate to implement the ACV scrub remedies below. Firstly, prepare the green tea. If you have green tea leaves, boil them and strain the water. If you have pure green tea powder, dissolve it to form a runny solution. Let the green tea to cool down. Secondly, in turn, add water, ACV, and honey to the liquid. Stir well. Thirdly, take the mixture and thoroughly massage on the skin with pimples. Finally, wash off with water. Apart from ACV, this exfoliation is effective for pimples due to the antioxidants in green tea, soothing properties of honey and the ability to remove dead skin cells of sugar. Massage your skin with this mixture for some minutes, then wash off. You should also do the scrubbing twice a week only. In this recipe, the carrier oil acts as a humidifier that gives your skin a moist and glossy appearance. This is a fitting method for treating pimples on your face. The heat of the steam helps open pores and clean out excess oil and dirt to make ACV penetrate into your skin easier. Add four tablespoons of ACV to 2 cups of water. Include 2 to 3 drops of tea tree oil or any essential oil containing antibacterial compounds to speed up the process. Heat the solution up in a pot until it starts steaming. Transfer the solution to a large bowl and put your face a little closer to it. With a towel, cover your head so that the steam does not spread out. Once you do not feel the heat anymore, it is the time to finish facial steaming. Baking soda is a wonderful anti-inflammatory agent, which can reduce pimple inflammation when mixed with ACV. It is also an exfoliator. But be careful, people with sensitive skin type who want to apply baking soda on their skin must do a pre-test to ensure itching or rash does not present. Performing a paste by blending two tablespoons of ACV with three tablespoons of baking soda. Wait for 20 minutes before rinsing. Apply toner afterward to avoid dryness. 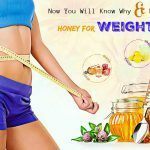 Mix 1 tablespoon of ACV with three tablespoons of honey. Apply it to your skin and leave for 5 minutes. Both garlic and onion have powerful antibacterial properties that fight against bacteria causing pimples and acne. The combination of ACV and garlic/onion juice is well worth to try if you are suffering from pimples. Crush garlic or onion to extract its juice. Mix an equal amount of ACV and the juice and pat on the pimple areas. Let it sit for 10 to 15 minutes, then rinse off with warm water and follow up with cool water. Repeat the procedure several times during the week. With the composition that is rich in minerals, vitamins, amino acids, and proteins, aloe vera provides strong anti-inflammatory and antibacterial abilities, making this plant one of the top choices for acne treatment. Aloe vera also has healing agents, which can neutralize the acidity of ACV to minimize possible skin irritations. This is a great approach for whose skin is dry or sensitive. Apply the mixture to the affected areas using a cotton ball or your fingers. Wait for 20 minutes, and then wash off. Do this daily or every two days if you do not have much time. Beside of traditionally topical methods, you can renew by making beverages with ACV to dispense with pimples. If you are malnutrition and you have a microbial imbalance inside the body, the risk of skin infection is higher and so are pimples. Drinking ACV helps boost your digestion, increase the nutrient absorption, and lessen bad bacteria in your intestine, all of which significantly improve your skin condition. Mix all the ingredients in a glass and drink once a day, ideally in the morning after breakfast. If you think its taste is too awkward, add more honey. This works well because ACV and cayenne pepper stimulate the digestion; honey progresses the immune system; lemon is rich in vitamin C that plays a key role in collagen synthesis, protects and repairs skin cells; and cinnamon has antimicrobial effects that destroy harmful bacteria. You can either make a smoothie with apple chunks or a detox drink with organic apple juice. 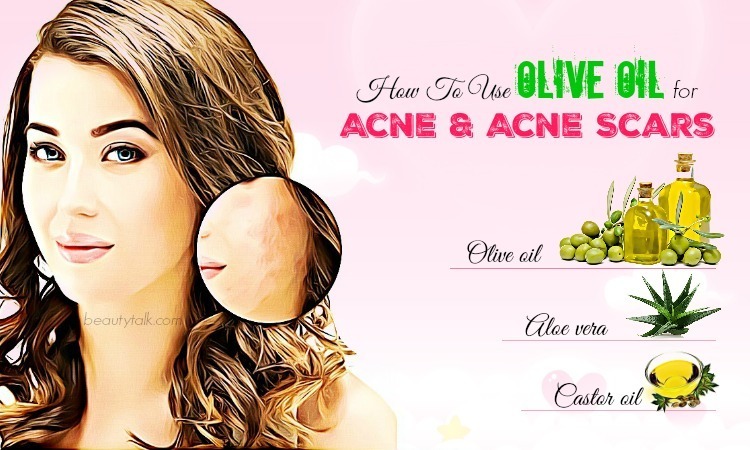 These are handy ways for you to both enjoy delicious potations and get rid of pimples. Smoothie: Add one tablespoon of ACV, 1 cup of the sliced fresh apple, a quarter cup of water, and a quarter cup of ice to a blender and then blend them well. Then pour the smoothie into a glass and serve cold. Juice: Mix two tablespoons of ACV, two tablespoons of apple juice with one cup of water, drink once daily. Although it is more effective to apply green tea directly to the skin, the positive influence of this herb to your pimple status when taken by mouth is not minor. Studies show that green tea contains a specific chemical element called EGCG, which helps reduce skin inflammation and also pimple scars. Antioxidant compounds in green tea are much more comprehensive in solving acne issues than vitamin C. If you persevere with remedies of green tea and ACV, your anxiety about pimples and acne will gradually disappear. Prepare one cup of green tea just like in the topical method (check ACV scrub if you have already forgotten). Add one tablespoon of ACV and one teaspoon of honey to the green tea glass and stir. Drink it right away or add some ice cubes for a cold beverage. We should not abuse anything, and ACV is no exception. Consuming too much ACV may lead to general health disadvantages, including tooth enamel abrasion, throat or skin burn, and a decline in inner body potassium level . To avoid those negative side effects, always dilute ACV before using and take it in moderation. In your first time trying ACV for pimples treatment, apply a small sample to your skin to see whether you are allergic to this ingredient or not. If there are no uncomfortable reactions, you can go with the remedies. But remember not to leave ACV on your skin for a long period in at least first three trials to make sure your body gets familiar with it. For people who are managing low blood sugar problem, you ought to consult with experts to receive a proper diagnosis as ACV can lower your blood sugar level. Your skin situation does not get better or unexpectedly worsens after curing pimples with ACV. 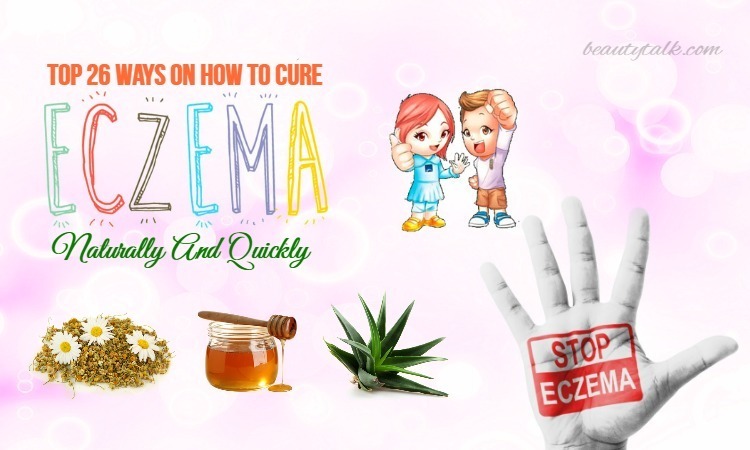 You develop dense and countless pimples in various sites on the body. The majority of pimples on your body are nodules and cysts. The affected areas become reddened, swollen, hot, and sore. 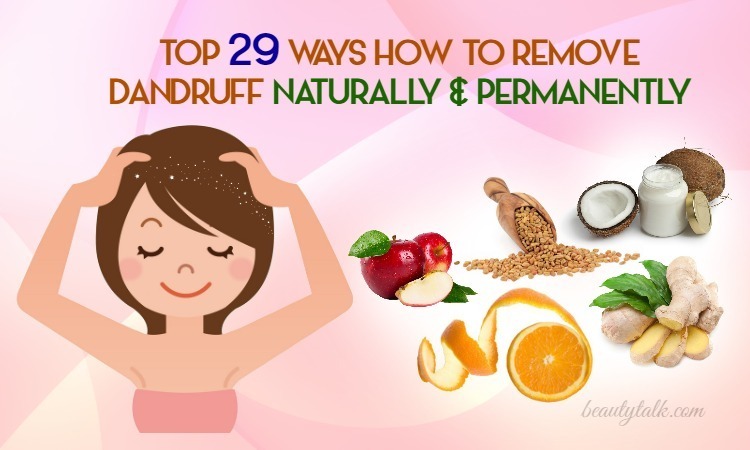 In the current era, there is a wealth of ways to wipe out pimples. Since commercial products do not give convincing outcomes, people tend to look for natural methods instead. 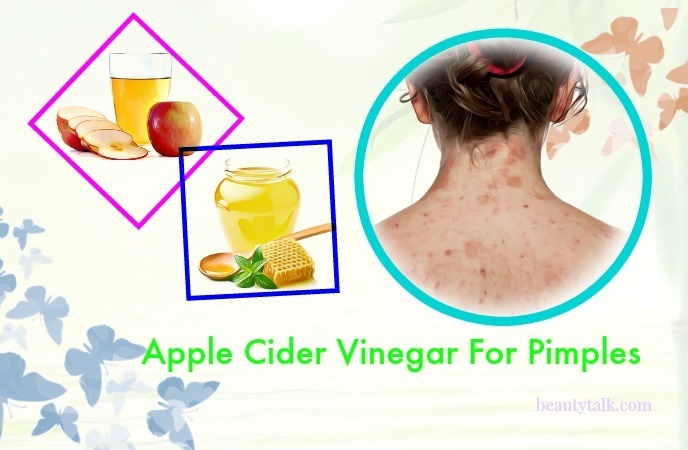 In this article, we have offered you 11 best remedies using apple cider vinegar for pimples on face, lips, scalp, and back. Write a comment to share us your experience in treating pimples, and visit our main Foods For Beauty page for more information.